You might have seen them on La Rambla. They are synonymous with streets throughout Barcelona: the humble newsagent and street kiosk. Purveyors of papers, magazines, sweets, and more, they are dying out. Over the last ten years in the Barcelona metropolitan area alone, around half of them have closed down. A sign of the times and ever-changing consumer habits. "Everyday we sell less. We can't see a solution. It costs more and more to be here selling, and more and more we sell less," said Jordi Bastardes, one kiosk owner in Barcelona. Over the last few years, this decline of a traditional Catalan institution has been speeding up. The economic crisis played its part, but as more and more people get their news online, newspaper sales have also fallen. "At the start it was a slow decline, but in the last 5 years it has sped up. In the last 5 or 3 years it has been much faster, coinciding with the paper crisis and economic crisis," said the vice-president of the Barcelona Metropolitan Area Newsagents Association, Máximo Frutos. These are not the only familiar sights disappearing from the Catalan high street. The future is not looking bright for bakeries either. In the northern city of Girona, bakers are not optimistic about the future at all. 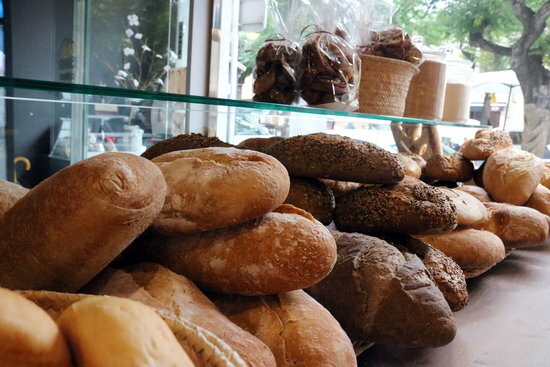 "In ten years, I think there'll be between 30% and 40% less bakeries than we have in Girona now," lamented Josep Maria Font, president of the Girona Bakers Association. A baker's life isn't always a piece of cake. Early mornings and seven day weeks are the norm. This puts off young people from taking up the vocation. Another reason: the fact that the consumption of frozen bread is much higher than fresh, but often people don't even know they are buying it. Bakers call on their colleagues selling frozen bread to make it known, so the client knows what they are eating. For the time being, as the world keeps on evolving, these dying businesses will have to adapt to survive.